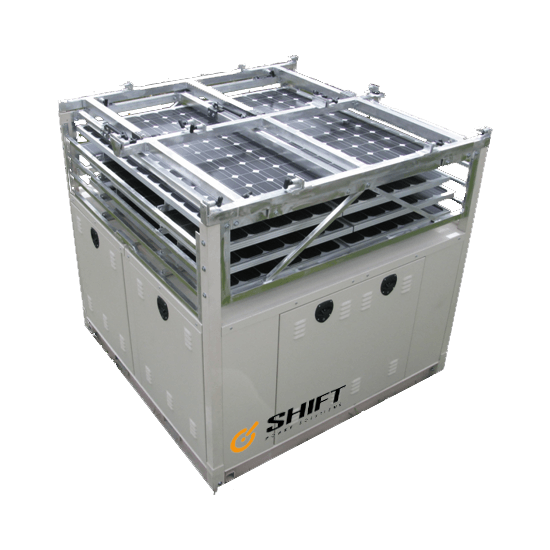 The Shift Power Solutions (SPS) family of Power Modules are based on the sound fundamentals of renewable based power generation, time tested generator technology, and the integration of emerging storage systems. This unique combination of disparate systems, which are perfectly managed through the SPS proprietary Energy Management System, have ushered in the next generation of mobile and distributed power technology. The Shift Power Solutions Universal AC/DC Converter Box is designed to meet several nontraditional electrical requirements simultaneously. Power conversion to DC, weatherproofed enclosure, operations in expeditionary environments and transportability. Compact and simplistic operations power converter box is designed to operate in the most harsh environments with continuous service. This converter can take in all forms of AC power from 80 Volt to 250 volts and then convert to 12/24 VDC with up to 60 AMPs of current available. Source power from grid or local generators can be used as an alternate source of power for all in vehicle systems through the NATO slave cable receptacle. Ideally suited to be used in expeditionary roles where local power generation is available and in vehicle systems are still required. 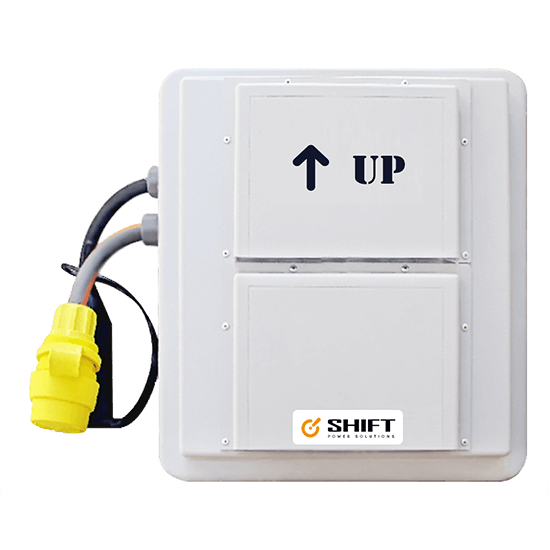 The Shift Power Solutions Solar Power Accessory Packs (SPAP) employ a modular Solar System design built for rapid deployment, scalability, and ultimate reliability. 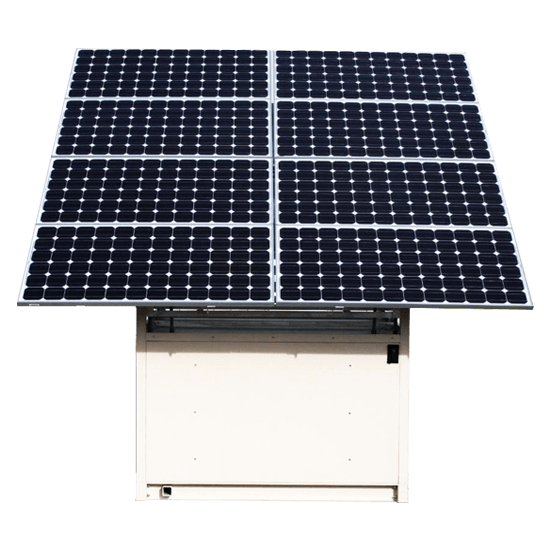 This unique system is able to accommodate numerous solar panel designs with panel output currently ranging from 170 to 315 watts each. It comes with a high tensile strength quick anchoring system and self-grounding apparatus. Utilizing the SPAP module two individuals can safely and securely deploy a complete solar array in less than 30 minutes. Packs include combiner circuitry and charge controllers. Stacking is done in increments of two to four units depending on the size panel installed. © 2010 All rights reserved. SHIFT POWER SOLUTIONS.